Our FREE 3D App is an advanced expansion to our classic, competitive tabletop game. Players build complex and fun patterns that will make their brains light up! By merging the physical with the digital, Blocks Rock! has entered a whole new world of learning possibilities. Accuracy is key, and a player only wins the round when the structure is completed successfully. The player with the most points at the end of the game wins! Educational and fun for ages 4 to 104. Play solo, one-on-one, or in teams. Advanced functionality allows for users to connect multiple devices and for teachers to play the role of judge. Race to build the structure on the screen as the image rotates continuously. One complete game set with 24 blocks is required for each player. UP YOUR GAME WITH OUR FREE APP! Download the Blocks Rock! app and let the fun continue! 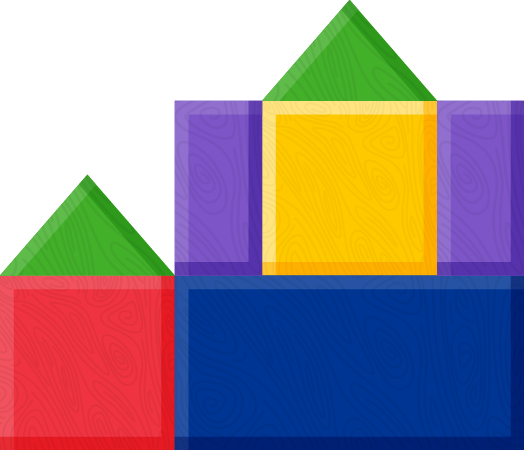 The free app comes with 28 new structures to challenge your spatial abilities. Remember, each player needs a complete set of 24 blocks to play with the app. But two players can compete side-by-side using the same tablet. The app is available from the App Store and Google Play Store. 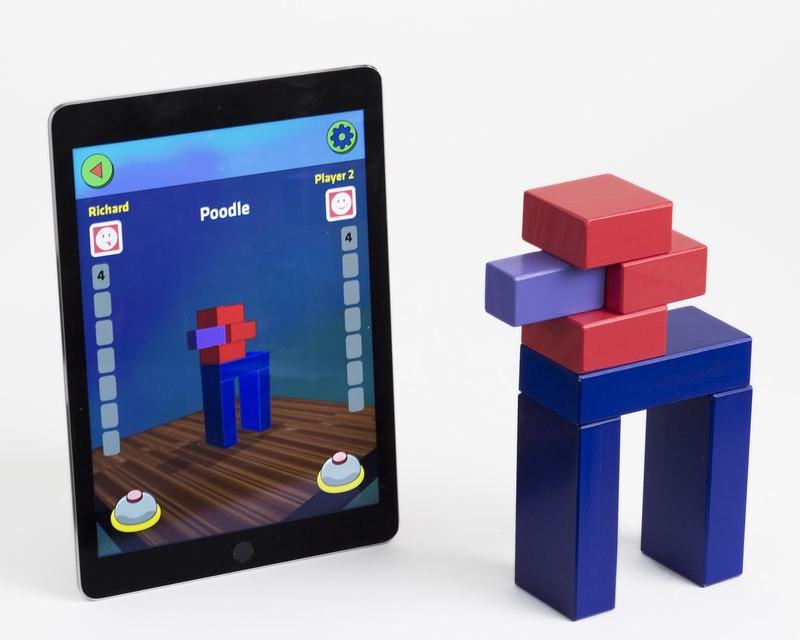 "IU neuroimaging study: Building blocks activate spatial ability in children better than board games." Indiana University Press Release, September 13, 2016, about research published in Frontiers in Psychology.